Numerology is the ancient metaphysical science of numbers where your name and date of birth reveal the blueprint of your life. The Numerology Guidebook will uncover your destiny and life purpose, along with your future potential, in a simple and easy-to-understand way. Whether you're looking to choose your ideal partner or career, a business or baby name, or your wedding day, numerologist Michelle Buchanan will show you how. Numerology is the ultimate tool for self-love and understanding that will help you improve your relationships with others and yourself. 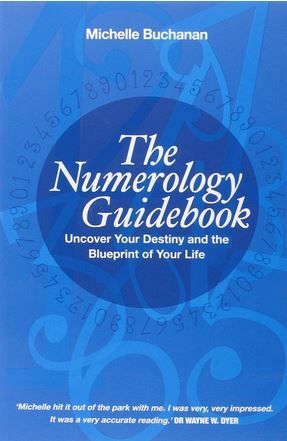 If you're interested in parenting or manifesting 'by the numbers' - or you simply need help deciding whether to use your maiden or married name after marriage or divorce - this is the perfect book for you. It will teach you everything you need to know about forecasting major life events, such as when to get married (or end a relationship), have children, change jobs, move, focus on your finances, travel, study or work on your personal and spiritual development. If you're searching for a life of happiness and meaning, the ancient science of numbers will assist you on your journey!